The new intervace is very usable, and addresses many of the issues people were asking about. Let’s talk about each of the improvements individually. First, you will notice the interface. There isn’t just one thing about it that I particularly like — it’s all pretty good. It’s speedy, AJAXy and makes me want to use it. You can even drag and drop things into folders — I’m sure some Gmail users are hoping the same thing comes to their inbox soon too. Next, the whole folder structure is brand new. Strangely enough, Google abandoned the “tag” and completely replaced them with folders. Earlier today a friend of mine called me up to ask how to make folders in Google Docs — I’m betting there were a lot of people in that same boat and that’s why it was changed. And last, but not least, the search box now tells you what you are searching for before you finish typing. It has a similar behavior to Google Suggest and the Google Toolbar. Overall, a great job by the Google Docs team on this one — the only thing missing now is offline functionality and maybe a new look for Writely and Google Spreadsheets to match the new docs list. I don’t know how you feel about blue collar, but if you want, need, or simply must have yet another email account, BlueTie is one to check out. BlueTie however, really is much more than just an email account. Not only is it free email with 5GB of storage per user (yes, more than Google so far), but provides unified calendar and other collaborative tools including shared file storage, an “enterprise” user manager, tasks, and a frighteningly Outlook-like calendar. Many features of BlueTie remind me of Outlook’s meeting requests, contacts, calendar, and other features in fact. The free account limits you to 20 users, but who’s counting? Small business owners and groups will love this app. It is AJAX based and looks good enough that I am considering putting my business on it entirely, since most of the app can be shared with all your people, contacts, calendar, and file storage. Did I mention that you can use your own domain with BlueTie, as well as the fact that it has Virus and Spam protection built in? Oh yeah, it has that too. The BlueTie calendar, empty too, but still very useful. Despite some indications to the contrary this week, the Mozilla Foundation did not release its next version of the Firefox browser, which is still being widely, publicly tested under Release Candidate 2. 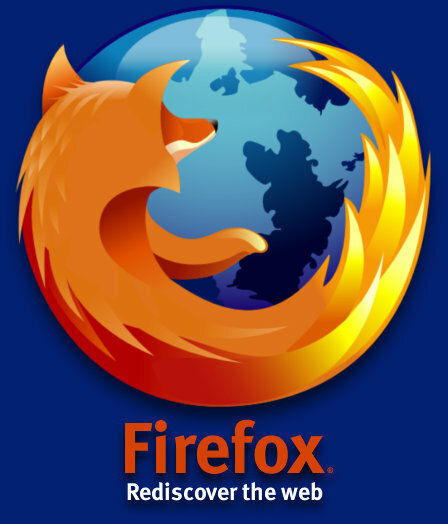 As Mozilla’s vice president for engineering, Mike Schroepfer, told BetaNews on Friday, Firefox releases take place on a qualitative basis, not on a deadline or time scale. The organization will release the next production version of the browser when it feels it’s ready for prime time. With generators and iterators instead, a variable can be declared and assigned the function containing the reiterative loop as its “value.” Here, the variable acts more like an object. The loop clause that counts the first numbers in the sequence exists outside the function, so the main body of the program has control over how many times the function is entered. Execution steps into the function for one round — one iteration — by means of the .next method, which acts as the iterator. The function “knows” it’s being used for multiple iterations, even though it doesn’t maintain the loop. It gracefully passes execution back to the main body, which has the loop, by means of the all-new yield statement. This is the generator. BetaNews will feature more with Mike Schroepfer and more of the new under-the-hood features of Firefox 2.0 as its release approaches.